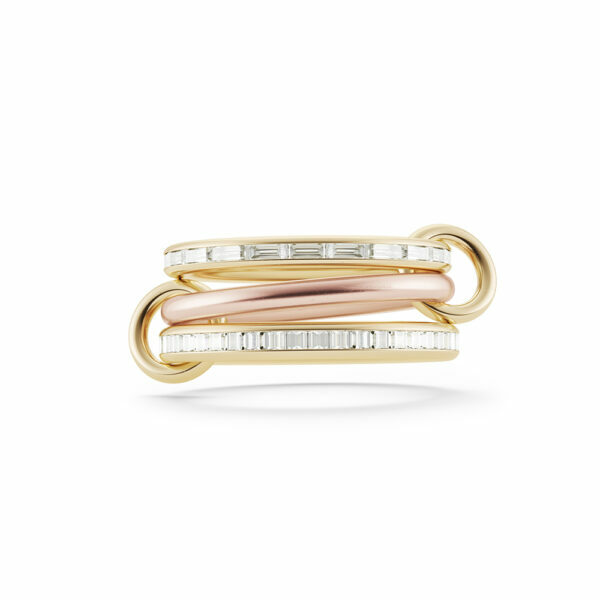 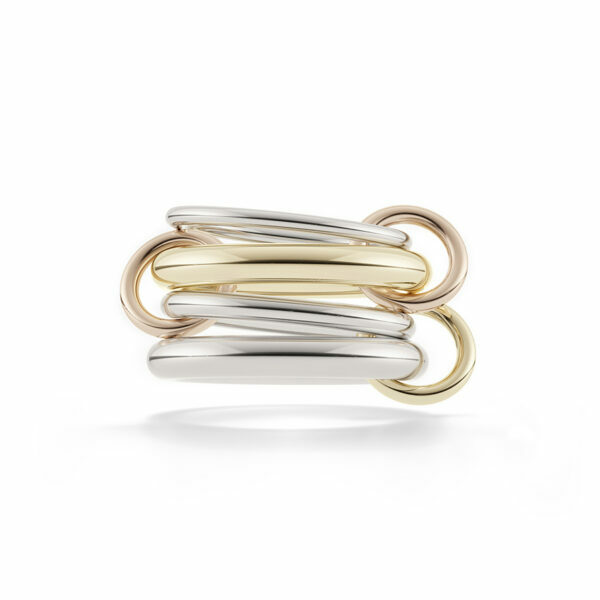 Three lustrous bands of rose and yellow gold are linked together with yellow gold rings, forming one killer stack. 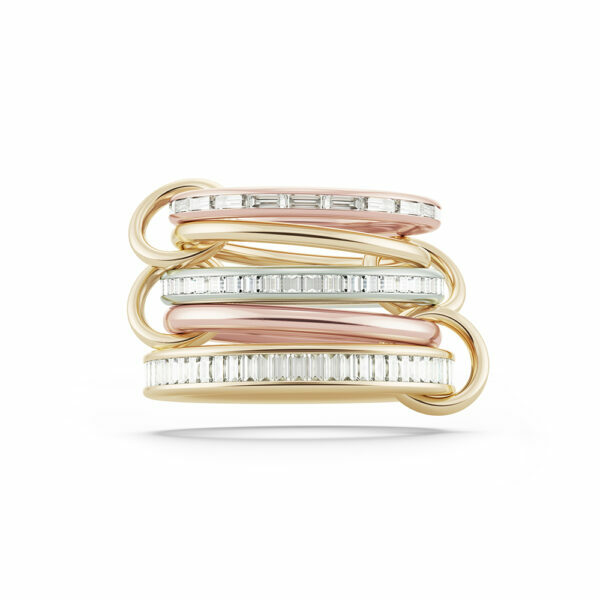 Punches of of white baguette diamonds add dramatic sparkle. 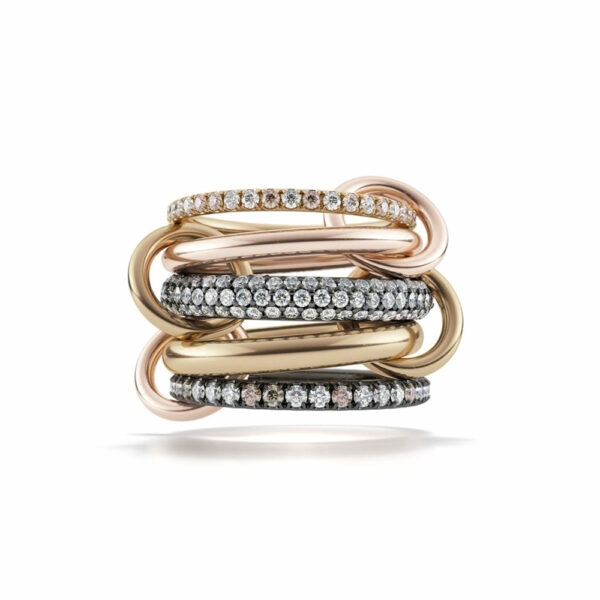 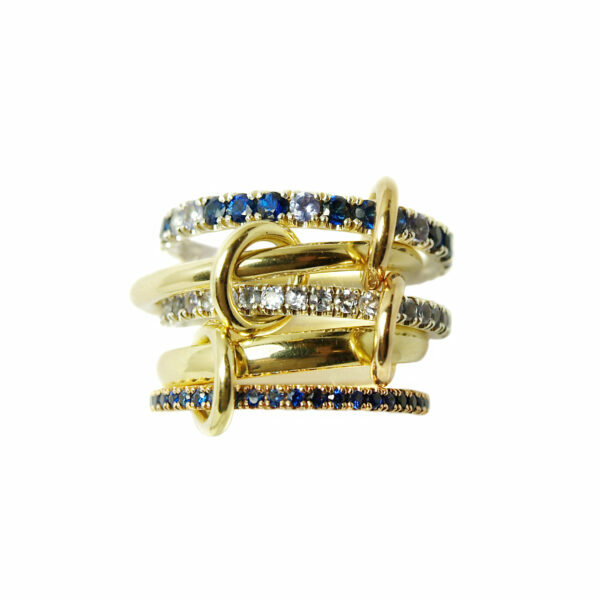 Wear this ring stacked on one finger, or spread across a few. 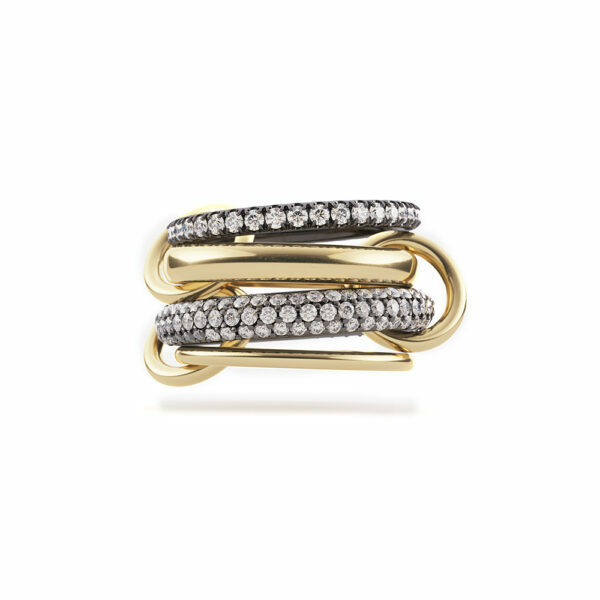 With multiple ways to wear this beauty, it will complete any outfit.